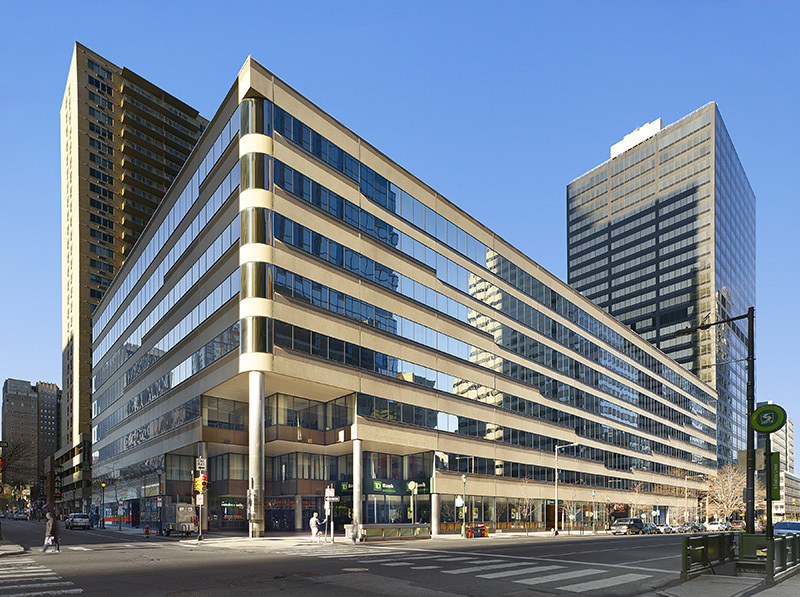 1900 Market Street is a 456,922 square foot,9-story office building located between 19th and 20th Street on Market Street in Philadelphia, PA. 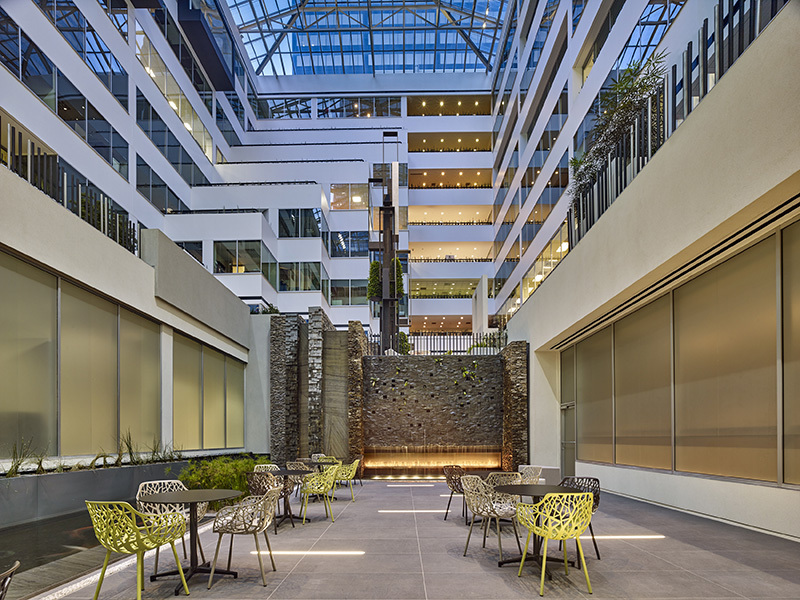 The building features an 8 story, central courtyard with a sun-filled skylight. The building is constructed of reinforced concrete footings on concrete slab with a structural steel frame. The exterior walls are composed of concrete panels and glass curtain wall. 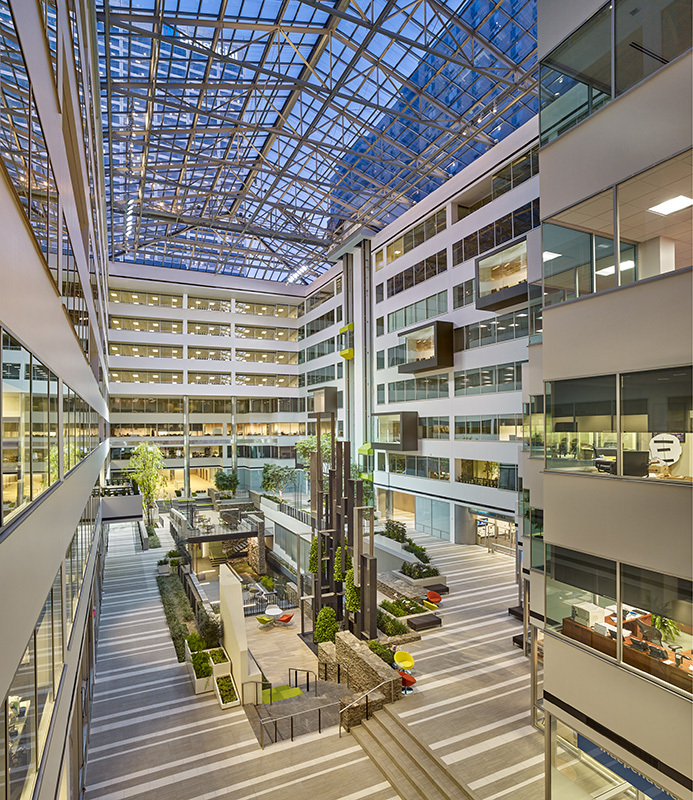 The building is LEED and Energy Star Certified. 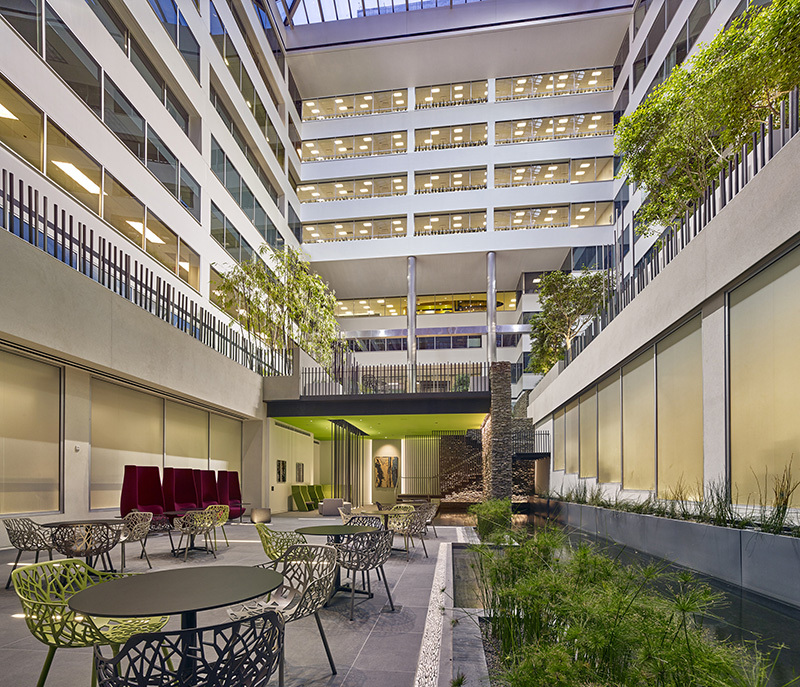 Built in 1981 by Rouse &;Associates, the building's main lobby and main entrances were renovated in 2014-2015. 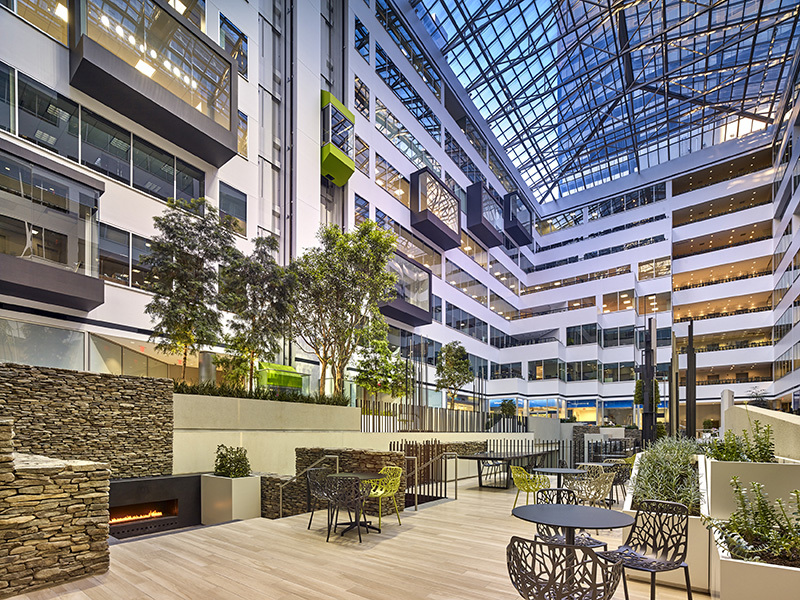 The new lobby area was transformed in a modern looking and inspirattional meeting space for Tenants and Visitors. The facelift included new decorative wall panels, new grey natural ceramic floor tile along with new pond and gas fire places. All of the upper floor restrooms were given a full renovation with new European toilet closet and automated flushometers, paper towel and soap dispensers. Headline News Lobby Shop is located on the 1st floor of the Atrium Lobby, right near the main fountain, and offers a variety of convenience items, including the Lottery. Business Hours: Mon - Fri 7:30AM - 5PM. Starbucks strives to inspire and nurture the human spirit – one person, one cup, and one neighborhood at a time. They are located to the left of the 20th St. side building entrance. Business Hours: Mon-Fri 6AM–7:30PM; Sat 6:30AM–3:30PM. TD Bank is conveniently located on the 19th St. side of the building, on the right hand side of the 1900 main entrance. TD Bank is open early, open late and even open weekends. They also have FREE customer coin counting. Business Hours: Mon - Fri 7:30AM - 8PM; Sat 7:30AM - 6PM; Sun 11AM - 4PM. Established in 1981, the network physicians of Vein Clinics of America believe that pursuing excellence in the treatment of vein disorders requires a full-time commitment. VCA is the largest group in the country specializing exclusively in vein disease treatment. Their network physicians are dedicated to making you feel at ease throughout the process. They will thoroughly evaluate your condition, discuss the details of your situation so you feel comfortable, and present you with a course of action that works best for you.